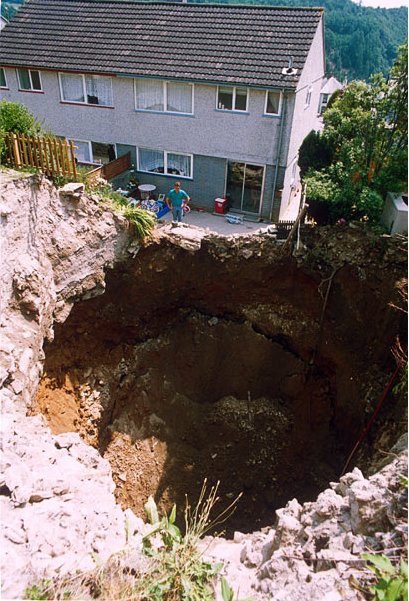 This entry was posted in Pictures and tagged Cornwall, sinkhole, United Kingdom. Bookmark the permalink. 2 Responses to Cornwall, England. June, 1992.
this whole opend up about a 2 minute walk from my house and we have recently discovered our house is also built directly on top of a mine shaft, do we have reason to be concerned ? Definitely talk to a qualified professional, soil engineer, geologist, someone who’s familiar with the area.